I now shoot exclusively in digital. The flexibility and quality of digital photography now makes it difficult to argue against. I know some people yearn for the good old days of film, as though it was somehow more real. I can understand people who love the process of developing in the dark room and I think there will always be a place for this. For me however, loading a correctly profiled and well edited image into my Epson 7880 and seeing a magnificent A1 print come out exactly as you saw it on your screen, has blown away any feelings of nostalgia that I may have had. As with my old film cameras I shoot using Canon equipment. I find the quality and reliability of Canon’s professional range second to none. The Canon 1 series cameras are things of beauty, which combined with the quality of the L series lenses, consistently deliver images of the highest quality. Of course, the importance of equipment can be overstated. The best equipment in the world won’t rescue a poorly conceived or executed shot. My main camera is the Canon 5DSR and my back ups are the 1Ds Mk III and Mk II. Often overlooked, is the importance of the equipment you use to support you camera and lens. 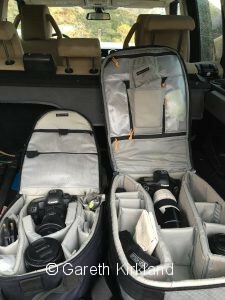 Buying a new lens or camera is a relatively easy affair, compared to the bewildering choice that confronts you when choosing a tripod, a tripod head and all the other possible extras, such as levelling bases and L plates. My first criteria was stability, followed by ease of use, which is often critical when time is tight and you need your equipment to function in an intuitive and fluid way. 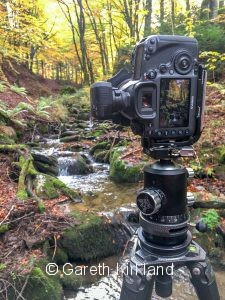 The whole combination, from my Gitzo tripod and levelling base to the superb FLM ball head and quick release plate, supports loads far in excess of any camera lens combination I use. The FLM head has a maximum load capacity of 70kg and it might sound like overkill, but when shooting in difficult windy conditions, or using eight or ten minute exposures, any tiny vibration or movement will result in a shot which is not sharp. 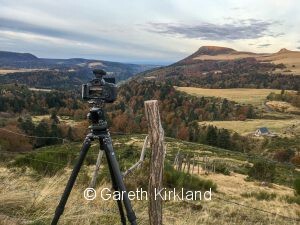 A levelling base, makes levelling your camera quick and easy, allowing you to change from a single shot to a panorama in a matter of seconds. 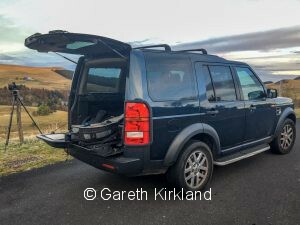 Whilst the L Plate allows you to change from landscape to portrait quickly, and avoids having to lop the camera over on its side, which is always awkward to work with and also far less stable. I have always used Lee filters. They’re not cheap but excellent quality. I don’t use any of the coloured or effects filters, just neutral density and graduated neutral density filters. The graduated filters are used to balance exposure levels within in the image, normally between sky and foreground, whilst the non graduated are used to slow down shutter speeds to enhance movement in skies, or water for example. I also use various polarizing filters. In conjunction with the Lee filters I will often use the very nice 105mm Heliopan polarizer. It’s great quality and thinner than the Lee version, thereby greatly reducing the risk of the rim of filter becoming visible when using wide-angle lenses. For my camera bags I use Lowepro. I did experiment with other makes but always came back to Lowepro. My current bag is the excellent Vertex 300 AW. It takes tons of stuff and is really comfortable. I really like the way it folds out to give easy access to all of my equipment. I use a 27” Mac OS X for my photo editing. It’s a lovely computer and the screen quality is good. I switched from a pc after the second hard drive meltdown on my laptop and the pc grinding to a halt with the weight of viruses and Viagra adverts. Does that happen to everyone or is it just me? No such problems with the Mac, virus and junk mail free and it never crashes. The Wacom A4 graphics tablet is invaluable for photo editing. Get one and you’ll wonder how you ever survived with a mouse. For software I use Lightroom in conjunction with Photoshop. Ninety percent is done in Lightroom, which was a godsend. Computers are not my strong point and Lightroom simplified everything in terms of workflow and editing. I print all my own work, using two professional printers, the Epson 7880 which prints up to A1, or the Epson 3880, which prints up to A2. The print quality is exceptional on both. I tend to use the 7880 solely for A1 and roll printing, whilst the 3880 becomes my workhorse for smaller prints.